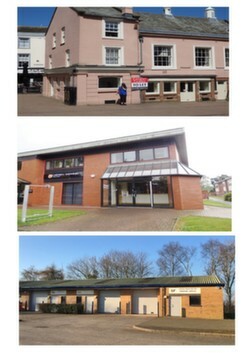 As we head into Spring, Carigiet Cowen have been very active across all sectors in Carlisle’s commercial property market. Chartered surveyor and retail specialist Ben Blain, who lined up the business transfer sale and new letting of Coffee Genius in St Cuthbert’s Lane to Bruce & Luke’s in January confirms that Unit 2 Carlyle’s Court (Former Beadle & Hill) and 7 St Albans Row (Former Alternative) under the Old Town Hall are now both under offer and progressing through legals. He comments, “Both lettings are due to complete imminently and will bring fresh new offerings to Carlisle city centre”. Other available opportunities within the city centre include; 2 English Street where the former Newcastle Building Society premises is currently undergoing refurbishment and 17 Scotch Street. In the industrial sector, Richard Percival and Mike Beales continue to secure deals, having agreed terms on a number of units totalling over 30,000 sq ft at Kingstown Industrial Estate and Kingmoor Park since January 2019. New to the market is a former accident repair centre at Newtown Industrial Estate available To Let or For Sale, providing some 6,000 sq ft of workshop space with the benefit of a large secure yard. Also to the west of the city, with excellent access to the bypass, are workshop/ warehouse premises at Unit 1 Marconi Road which provide circa 14,000 sq ft, together with 1,200 sq ft of refurbished office space. A little further afield, Mike is pleased to confirm the completed sale of a former warehouse/ showroom at Townfoot Industrial Estate, Brampton. Part occupied and income producing, the unit has been sold to a private investor who has a new tenant lined up for the vacant space. Elsewhere on the estate, a number of small workshop/ storage units, previously occupied by Omega Music, are close to having terms agreed. Unit 5 Centurion Court, a 10,000 sq ft warehouse facility offering quality modern space is newly available on flexible terms at a competitive rent. In the office market, the sale of 3 Merchants Drive, a modern two storey office block at Parkhouse, Carlisle is at an advanced stage and is due to complete shortly. A further 1,500 sq ft ground floor office space at Rosehill Business Park is attracting good levels of interest and hoped to go under offer in the coming weeks. Mike Beales commented “it is encouraging to see that, despite the cloud of uncertainty hanging over the country as we fast approach the UK’s deadline to leave the EU, activity across all sectors in the commercial property market in Cumbria has continued at a steady pace. With new instructions coming through, Carigiet Cowen have space to suit a wide variety business needs”. Richard Percival also shared his thoughts on the positive news brought by the government’s Spring Statement which has seen £250m committed to the Borderlands Growth Deal. This funding coming in addition to the £102m recently announced for the Carlisle Southern Link Road. He said; “Undoubtedly a lot of time and effort has been invested by many individuals and organisations in to securing this funding and their efforts should be applauded.